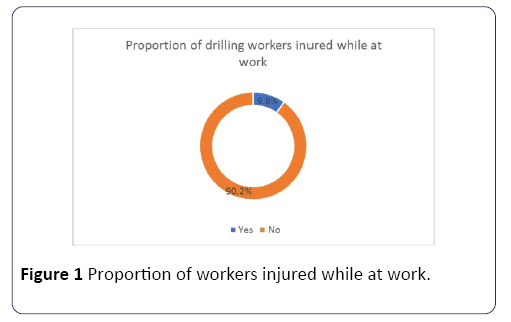 Citation: Kamol CO, Akunga DN, Warutere P (2019) Occurrence of Occupational Physical Injuries among Workers in Onshore Oil Drilling Operations in Turkana County, Kenya. 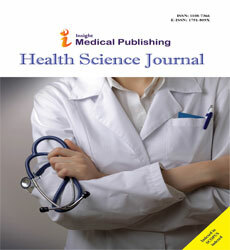 Health Sci J Vol.13.No.1:619. Copyright: © 2019 Kamol CO, et al. This is an open-access article distributed under the terms of the creative commons attribution license, which permits unrestricted use, distribution and reproduction in any medium, provided the original author and source are credited. An occupational injury is any physical injury condition sustained by a worker in connection with the performance of his or her work [1,2]. Different workplaces are prone to hazards and they provide significant opportunities for occupational injuries. Oil and gas exploration plays a critical role in present-day civilization in that, as oil and gas sector grows, so do economies and societies. Much of the work involved in onshore oil and gas exploration, to date has been automated, but a significant part of it still continue to rely on human input . In onshore exploration activities, injuries continue to be a major concern. Globally, there are legislations put in place to minimize work-related hazards linked to onshore exploration activities. Some organizations have put incident-free days (IFD) as their number one agenda to forestall their employees from grim work-related hazards, accidents and injuries. However, occupational health and safety risks still remain . In developed nations like the United Kingdom, approximately 500 workers die annually and the total annual cost to employers as a result of occupational injuries surpasses £4billion . In developing countries that are occupied by the greatest concentration of the global workforce, however, the socioeconomic impacts of work-related injuries is twenty times higher since only about 5% of the workforce has access to occupational services compared to 50% in developed countries . Onshore oil drilling attracts workers that operate in isolated locations coupled with harsh environmental conditions and such conditions influence occupational hazards that give rise to occupational injuries. Setting: The study was conducted in Turkana County which falls within the Tertiary Rift basin. Turkana County covers approximately 77,000 sq.kms and has a population of about 855,399 . Turkana County was chosen because, compared to other counties, it is the only county in Kenya where active onshore oil drilling is presently being done. 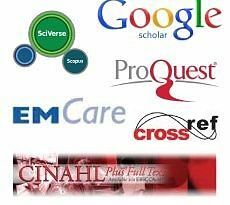 Study design: This study employed cross-sectional descriptive study design. Study population: The study population consisted of oil and gas operator service companies workers, drilling contractors workers and those of drilling sub-contractors working in the three oil drilling sites within Turkana County (figures in parenthesis represent the number of oil drilling workers per site); Ekales 2 (83), Ngamia F (110) and Engomo (93). Sampling technique: The initial sampling point was conveniently chosen (marked A, B and C on the map for Ekales 2, Ngamia F and Engomo, respectively), to start from one end of the study sites, such that subsequent sampling would continue from these points. Thereafter, systematic random sampling technique was used to select participants from a randomized sampling frame of a known sampling interval. The sampling interval was obtained by dividing the total population by the desired sample size. Data analysis: Data collected was cleaned, coded, entered and analyzed using SPSS version 20. Data analysis was both descriptive and inferential. A total of 164 workers were recruited in the study. Workers were asked whether they have ever been injured while at work and a majority (148) 90.2% reported that they have never been injured at work whereas the remaining (16) 9.8% indicated that they have ever been injured at work. This is presented in Figure 1. Figure 1. Proportion of workers injured while at work. It was also necessary to estimate the man-days lost due to these occupational physical injuries. To this end, the study sought to know the number of days the respondents missed work due to the reported occupational physical injuries. Results as presented in Figure 2, indicates that an equal proportion (18.75%) of the respondents missed either 1-7 days or more than 1 month translating to direct and indirect costs to their companies. Among those who reported having ever been injured 62.5% reported not to have missed a day. That is, first aid administered and worker returned to work. Figure 2. Days lost due to occupational physical injuries. 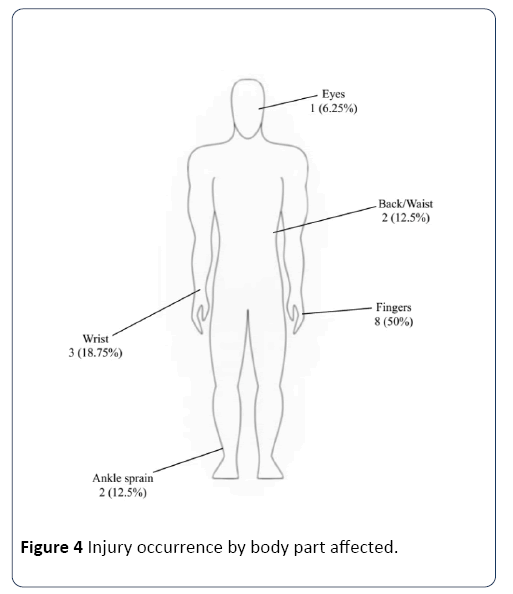 As presented in Figure 3 below, some injuries were more severe than others, and this was reflected by the amount of time the injured worker was unable to work and by the nature of the injury (cuts, lacerations, amputation, fractures or burns). The study further categorized injuries as first aid cases (FAC) and medical treated cases (MTC). A significant segment (13) 81% of the reported injuries were categorized as FAC. Only (3) 19% cases were categorized as MTC. Figure 3. Type of physical injury incurred by the workers. Of the 16 recorded injury events, injuries to the fingers (8) 50% and wrist (3) 18.75% were most common. An equal proportion of the injuries affected the ankle (2) 12.5%, and the back (2) 12.5% respectively while only (1) 6.25% affected the eyes (Figure 4). Figure 4. Injury occurrence by body part affected. Among those who reported to having been injured, an equal proportion 31.25% of the respondents suffered lacerations and cuts. 18.75%, 12.5%, and 6.25% of the respondents reported having suffered from fractures, strains and abrasions respectively as shown in Figure 5. Figure 5. 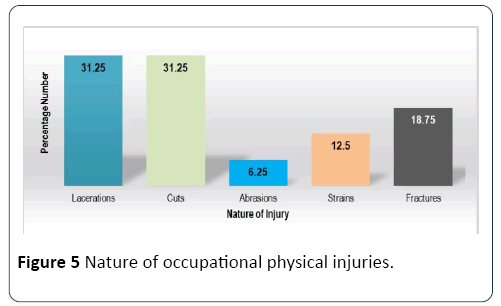 Nature of occupational physical injuries. In US, non-fatal occupational injuries in the oil and gas industry are 49% higher than all the industries combined . In Iraq, it is estimated that in 2009, oil and gas sector recorded 34 fatal and 334 non-fatal injuries . In contrast, (16) 9.8% of the respondents in this study reported having ever experienced non-fatal occupational injuries. This is seemingly low compared to a similar study in Nigeria where 28.3% of the onshore workers sustained injuries . The findings of this study were also much lower than a study done in Oman where 40% of oil drilling workers sustained work-related injuries . The results could, however, be attributed to underreporting of the injuries by the workers in onshore oil drilling operations in Turkana County, Kenya. Most injuries may not have been reported as they may have been perceived as minor. The reasons for delayed reporting of injuries and health seeking in the event of an injury suggest a poor attitude towards safety. It is, therefore, important to improve on the reporting of occupational injuries in onshore oil drilling operations. 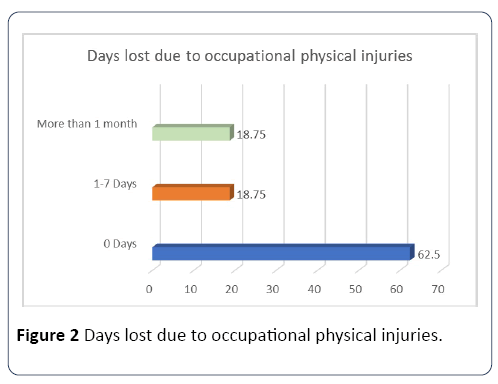 This study further established that an equal proportion (18.75%) of the respondents missed either 1-7 days or more than 1 month due to injuries. The number of days workers miss work due to the reported occupational physical injuries is important injury severity metric in terms of the direct and indirect costs incurred. In this study, a significant segment (13) 81% of the reported injuries were categorized as first aid cases (FAC). Only (3) 19% cases were categorized as medical treated cases (MTC). A similar study reported a higher frequency of MTC (136) 80% among onshore workers . As per the body part injured, this study revealed that injuries to the fingers (8) 50% and wrist (3) 18.75% were most common. These results are almost compatible with findings of a study that was done among workers in an oilfield in Oman that found that upper extremities recorded the highest percentage (38.8%) of all reported injuries . A similar study by Valentic et al. reported higher percentage (48.6%) of reported hand injuries. The plausible explanation of this could be that the hand is exposed to injuries due to its role in catching, reaching, showing and instinctive defense . The current study found that eye injuries accounted for 6.25% of all the body injuries reported. The findings of this study were much lower than a study by Al-Maniri et al. where eye injuries accounted for 29.4% of all the body injuries reported. It is, therefore, critical that workers should be protected from eye injuries that are risk of infection and other illnesses. Eye injuries could be prevented by wearing adequate eye protection and by introducing appropriate machine guards to protect workers against obvious risks . Back injuries accounted for 12.5% of the injuries reported. The results are slightly higher than a study by Al-Maniri et al. where back injuries among oilfield workers in Oman accounted for 2.4% of all the body injuries reported. This discrepancy can be attributed to the variation and nature of activities performed in onshore drilling. The study revealed that among those workers who reported to have ever been injured, an equal proportion 31.25% suffered lacerations and cuts. These results compare favorably with a study in the United States of America  where contusions, cuts and lacerations constituted 70% of all the reported physical injuries. This study also established that respondents experienced fractures (18.75%) and abrasions (6.25%). This present study compares well with a similar study in Nigeria . In this study, strains accounted for (12.5%) of the reported injuries. This is slightly higher than a study carried out by Al-Maniri et al. where strains accounted for (6.5%) of the reported work-related injuries. This slight variation could be attributed to the nature of activities performed. Workplace conditions, workers’ behavior, handling of heavy materials, failure to comply with the safety rules, and non-PPE use might expose the workers to such injuries . It is, therefore, crucial that workers in the onshore oil drilling operations should be protected from occupational physical injuries. Workers in onshore oil drilling operations in Turkana County, Kenya were affected by physical injuries with the most common types being lacerations and cuts. Fingers and wrists were the commonly affected body parts. The number of days workers miss work due to the reported occupational physical injuries is important injury severity metric in terms of the direct and indirect costs incurred. It is therefore critical that oil drilling workers should be protected from occupational physical injuries that are risk of disabilities and fatalities. ILO (1998) Statistics of occupational injuries. Sixteenth International Conference of Labour Statisticians. Report III. Aderaw Z, Engdaw D, Tadesse T (2011) Determinants of occupational injury: A case-control study among textile factory workers in Amhara Regional State, Ethiopia. J Trop Med 2011: 657257. Graham I (2010) Working conditions of contract workers in the oil and gas industries. ILO. Deloitte (2009) Oil and gas reality check; top 10 issues for financial year 10. Okibo SS, Oginda NM, Onyango M (2013) Antecedents to dissatisfaction with compensation for occupational injuries among employees of KTDA managed tea factories in Nyamira County, Kenya. Int J Business Social Sci 4: 121-129. Tadesse T, Kumie A (2007) Prevalence and factors affecting work-related injury among workers engaged in small and medium-scale industries in Gondar Wereda, North Gondar Zone, Amhara Regional State, Ethiopia. Ethiop J Health Dev 21: 25-34. Al-Maniri, Al-Rubaee (2011) Work-related injuries in an oil-field in Oman. Oman Med J 26: 315-318. Khdair WA, Subramanim C, Mohd-Shamsudin F (2011) A proposed relationship between management practices and safety performance in the oil and gas industry in Iraq. World Rev Business Res 1: 27-45. Anugom AAE (2013) A review of occupational illnesses and injuries in two offshore oil rigs in Nigeria. University of Manchester. Valentic D, Stojanovic D, Micovic V, Vukelic M (2005) Work-related diseases and injuries and on an oil rig. Int J Maritime Health 56: 1-4. Emenike GC, Asikhia OM (2013) Occupational health and safety in the oil and gas industry in Nigeria. AJOL pp: 1596-8303. Kifle M, Engdaw D, Alemu K, Sharma HR, Amsalu S, et al. (2014) Work-related injuries and associated risk factors among iron and steel industries workers in Addis Ababa, Ethiopia. Safety Sci 63: 211-216.